People who manage to sock away money -- even on a tight budget -- all live by this motto: Make it over, use it up, make do, or do without. Now you can learn from their secrets! Do your homework before buying anything, especially big-ticket items. With the internet, comparison shopping is easier than ever. Tip: Once you've made a buying decision, search online for "promotion codes," "coupons," and "free shipping." Buy quality merchandise. It's cheaper in the long run because it won't need to be fixed as often or replaced as soon. Check every store receipt and restaurant bill to make sure you've been charged correctly. If you put a meal on a credit or debit card, keep the restaurant receipt to compare with your credit card or bank statement; some restaurants engage in so-called "tip-jacking," -- adding in a tip or increasing the one you gave them. Tip: Know the store policy on price accuracy; some give away an item if it's scanned higher than the advertised cost. When buying a non-necessity, like clothing, ask yourself if you really, really love it. If not, put it back. Even if you do love it, wait a few days before buying it; by then, the urge may have completely passed. Become a devotee of do-it-yourself. Learn how to make simple home repairs, do basic sewing, and cook meals from scratch. Set priorities, such as home ownership or early retirement. Saving up is easier if you have savings goals. In this day and age, people use less paper, and more plastic. But which kind of plastic is best for you? Ask yourself a few questions. What you want to use your credit or debit card for? Is it for convenience? Do you want buyer's insurance? Do you want to improve your credit score? Tip: Debit cards are easier to get approved for than credit cards. Gather all the information. Be sure to read about all charges and rules on both credit and debit cards. If you think you can pay off the balance in full every month, choose a credit card. It helps you build a credit history, and there are more perks, like rewards, cash back, travel and buyer's insurance. You also get more protection if your information is stolen or lost. Choose a "no-fee" card with a zero percent interest introductory rate. Read any pamphlets and updates that the company sends, and pay your in full balance every single month. Be honest with yourself. If you are prone to accruing debt, a debit card is a good choice for debt deterrence, because they are directly linked to your checking account, and you will incur a penalty immediately if you overdraw. Tip: Merchants will ask you if you'd like "credit" or "debit." Choose "credit" to avoid entering your PIN number, which will protect you from identity theft. If you think you want a debit card, read the bank's policies to see what penalties there are for exceeding your account balance. Remember -- you'll have to keep close track of how much money is in your checking account. Now plunk your plastic with impunity! Write the word VOID in the space where you would write the amount of the check. If you've already written the amount, write over it. Write VOID across the signature line on the check. If you've already signed the check, write over your signature. Write VOID in big letters across the front of the check. Tip: Technically, you only have to write once across the front, but it's better to be safe than sorry. Write VOID in big letters across the back of the check. Whether you've endorsed it doesn't matter. Write the check number in your check register. Write a note about the reason you voided the check, in case you need it later for reference. Thanks for watching How To Void a Check! Do you cross your fingers when you write a check, hoping it won't bounce? Then it's time to learn how to monitor your finances. Verify that any deposits listed on the statement are recorded in your register. If they're not, enter them. Tip: Keep your ATM receipts until you can verify them on your bank statement. Thanks for watching How To Balance Your Checkbook! Overdraft fees can take a big bite out of your checking account, so keep track of your finances and avoid future overdraft fees. 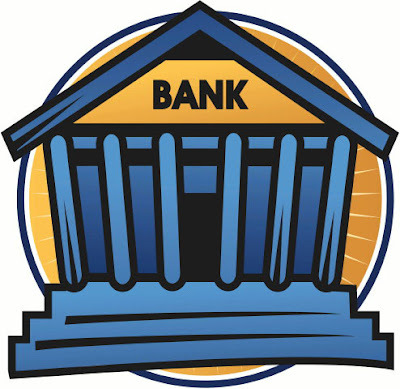 Choose a bank or credit union that provides their customers with overdraft protection. Tip: Realize that banks and credit unions are competing for your business, so choose carefully. Sign up for an overdraft protection plan that links your checking account to your savings account or a credit card. Check your account balance frequently and keep track of your deposits and withdrawals in your checkbook register. Tip: Don't forget about automatic electronic payments you may have set up with utilities, loans, health clubs, or other institutions. Have your bank e-mail or text balance alerts to your computer or phone to keep you informed of your balance. Whenever possible, keep some extra money in your account to allow for mistakes and avoid overdraft fees. Review your bank statements each month to see what checks or transactions have or have not cleared. Opt out of protection plans so that your debit card will be declined if there isn't enough money in your account to cover the transaction. It'll be embarrassing, but a little embarrassment is better than paying $35.00 for a cup of coffee. Write the date on the line usually located at the top right of the check. Use the current date or a future date to post-date the check. Write the name of the payee on the line next to the words "pay to the order of." This is the name of the person or business that will be receiving the check. Write the numerical dollar amount in the small box next to the dollar sign. Tip: Write the dollar amount close to the left side of the box to prevent someone from adding an extra number to the amount. Write the dollar amount in words along the line next to the word "dollars." Then write a fraction for cents, with the number of cents over one hundred. Tip: After the last word or fraction, draw a line all the way to the printed word "dollars." This will prevent anyone from adding more to the line. Sign the check on the line at the bottom right portion of the check. The check will be invalid if it isn't signed. Write a note on the memo line in the bottom left portion of the check. This is good for any additional information the payee may need, or to clarify the purpose of the check.